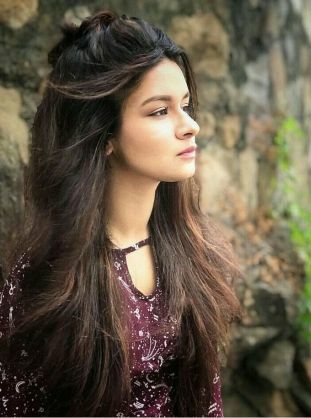 Avneet Kaur happens to be a dancer and actress of small screen and films who hails from Jalandhar, Punjab. She was born on 13th October 2002 and has completed her schooling from DAV Public School. She along with her family has shifted to Mumbai wherein she is now pursuing her Junior College from Oxford Public School Mumbai along with her TV career. She has been always interested in acting and dance that made her participate in the reality show called Dance Ke Superstars that made her a visible face on the small screen giving her debut soon on the TV with the show called Tedhe Hai Par Tere Hain in 2012. She also appeared in another dance reality show called Jhalak Dikhla Jaa the same year. She soon got another TV show called Savitri wherein she played a young girl called Rajkumari Damyanti and the next year she got another show known as Ek Mutthi Aasmaan playing the role of Paakhi Kapoor. She then got a Bollywood movie called Mardaani doing her debut with Rani Mukherji. The same year she had bagged another show called Hamari Sister Didi wherein she played the role of Khushi in it. Her recent TV show include the Rajkumari Charumati called Chandra Nandini.wherein she played the character of Prince Charumati. In this way, in her small amount of years, she has played a wide range of characters over the small screen making her popular over the TV. While working the Zee TV Show called Muthi Bhar Aasman she also got the chance to appear over the entertainment show called The Weekly Rap as a host, which is actually the Bulletin Show called ZeeQ’s News. Besides, doing a number of TV shows and one B Town movie, she has also worked in a number of TV commercial ads, which include the brands like Clinic Plus, Lifebuoy Handwash, Maggi and many more brands. She aspires to be a big time actress of Big Screen, while she is also continuing her education as she feels is important. Talking about her personal life, she lives with her family and is not linked with anyone. She is focussing on her career and life.